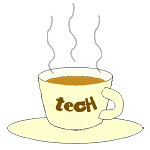 showcase « Tech bytes for tea? LG Connect 2018 Asia is a showcase of the company’s innovations to enhance end-user experience across the retail, hospitality, transport and residential sectors targeting citizens of smart nations at work and play. LG 55″ transparent OLED signage, with razor-thin bezels. With 40% transparency, this display will be launched end this year or next year. The LG Connect 2018 Asia was held at the Marina Bay Sands Expo & Convention Centre in Singapore. “Buoyed by an all-encompassing suite of solutions, LG is excited to partner with businesses in Asia to help expand their portfolios of offerings. Together, we can build technological infrastructures that are future proof and can bring immense benefits to end-users across all the retail, hospitality, transport and residential industries,” says Steve Song, Asia Regional Chief Executive Officer of LG Electronics. Among the impressive lineup of commercial displays showcased were the Open Frame OLED digital signage, the 55-inch Transparent OLED signage, the In-Glass OLED Wallpaper, OLED Wallpaper Hotel TV, Ultra HD smart displays, 0.9mm even bezel video wall, IPS Interactive Digital Boards, and 88-inch Ultra Stretch displays. Solutions using these displays in various commercial settings were also exhibited, eg. Pro:Centric smart platform for hotels, and All-in-one Collaboration Solution for business centers, as well as SmartThinQ ecosystem for home appliances and ThinQ AI for LG’s Signature OLED TV W8. One of the more impressive showcases at IFA this year was an OLED tunnel put up by LG, measuring 5m tall, 7.4m wide and 15m in length – and comprising 15m of OLED panels and 450 million pixels. The awesome OLED tunnel provided a stunning and immersive viewing experience with deep black and vibrant colours. A total of 216 separate 55-inch curved OLED signage displays were assembled to create the structure comprising 447,897,600 pixels – that’s nearly half a billion – to display a collection of breathtaking scenes including Iceland’s Aurora Borealis, underwater ecosystems and deep space footage. A video titled “From Black to Black” was produced by LG to include footage that accentuate the lifelike colors and the ability to recreate the miniscule details of life which LG’s OLED technology delivers. The footage includes the black ocean with effervescent jellyfish and the gentle movement of whales, as well as scenes from deep black space and the brilliant northern lights on a black sky.